"The Internet is a giant blank marketing canvas for brands savvy enough to cut through the noise and find new ways to get consumers to listen up and join the conversation. And while coveted by all, viral content is no easy feat. In fact, while highly sharable content can give your business a lift, creating a viral video, on the other hand, is far from easy. Having a piece of content go viral is the closest description to some sort of Internet version of the lottery; it’s extremely difficult to achieve and very hard to replicate. What makes content go viral? Of all the millions of videos posted online every day, how do some videos or other pieces of content rise above the fray? In other words, what makes a video or ad or any type of content go viral? Look at every successful campaign and you will find that there are four important characteristics associated with viral content. People are always searching for new information and better ways to do things. If your content is interesting and informative enough, it is also highly sharable; and if you want to get people’s attention, contribute something worthy of their time and emotional investment. A great way to get the viral edge you want is to look for stories that can inspire your readership. Audiences love an inspirational story, and the more inspirational it is, the more your audience will want to share it with others. Yes, they both matter, but quality content doesn’t necessarily imply expensive production. So it’s OK if you don’t allocate a huge budget to produce your content- some of the most popular videos online were filmed with a personal camera at home. What distinguishes many of the most successful channels on YouTube, for instance, is that they upload new videos regularly, which keeps their audience interested and engaged. Think of it like a friendship- you’ll be much more engaged if you’re talking every day, not just once every six months. If you want your content to make the jump to virality, it might be time to brush up on your current events. By hooking into an existing Internet theme or popular topic, you increase the odds your content will be viewed and shared by those already interested in the topic. This can be anything from a current world event, to a pop culture topic dominating the news. If you speak the same language as your audience and present interest in the same topics, they’ll be more likely to share your content. One of the keys to virality is engagement. Engaging with an audience leads to interest, repeated visits and ultimately, conversions. Adding an engagement portion to your videos, like answering viewer questions, can give your content a boost and make it more sharable. After all, everyone likes to be heard! To celebrate our many successes and the successes of people we supported, Bayt.com decided to highlight inspiring and successful stories of various professionals from across the Middle East. We wanted to spread the positive message of how dedication and hard work go a long way. This idea of sharing a message of passion, dedication and hard work culminated in two videos that went viral straight away. One of the videos was by Jordanian band Tarab 3al 7atab, and the other by Kuwaiti rappers Sons of Yusuf. Entitled What’s your story?, the campaign was simple: as a career site, we knew that having a successful career was all about hard work, passion and creativity. We knew we were going to invest in a project that was the first of its kind in the region, and we would settle for nothing less than virality. So the question was: how should we share this idea and make a difference while engaging audiences across the Arab world? was created in-house and utilized a wide array of channels to reach the audiences we were targeting. We highlighted success stories from people around the region, with different ideas used depending on the target audience of the publication, highlighting the nature of personal success. We engaged with many successful people to get their stories and share them on our social media accounts. We also hosted a very successful tweet-up with Tarab 3al 7atab, which resulted in two trending hashtags relating to the campaign. The campaign ran from September 2015 to December 2015 and resulted in over four million video impressions across all channels and two trending hashtags (#WhatsYourStory). Consider that one of the best ways to create an emotionally compelling piece of viral content that also works well with your brand is to tie your brand to a message for the public good. Brainstorm how your brand might be able to create content that does a public good or that creates awareness, but at the same time activates strong emotional drivers. 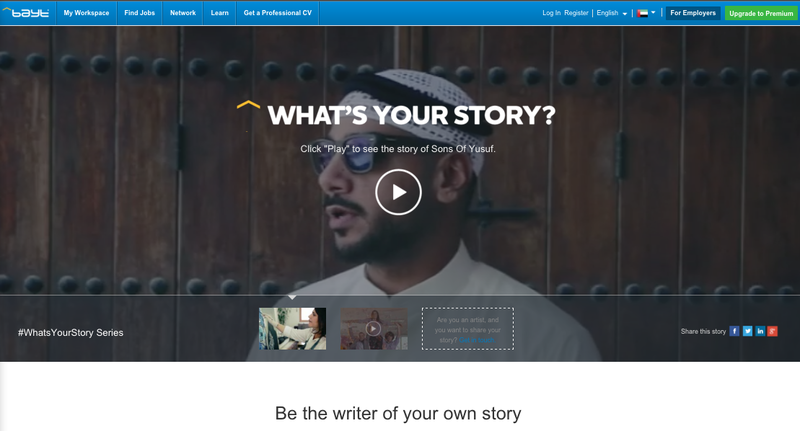 In their campaign, Bayt.com not only made sure to share stories of successful people who were able to realize their dreams, but also encouraged everyone else to dream and work and find their passion. Companies are already placing ads on the pages of Facebook users and are reaching out to Twitter and Instagram users who have a large following base. Brands have to recognize that the ability to find these archetypal sharers online is just as important as the ability to traditionally reach certain demographic groups. 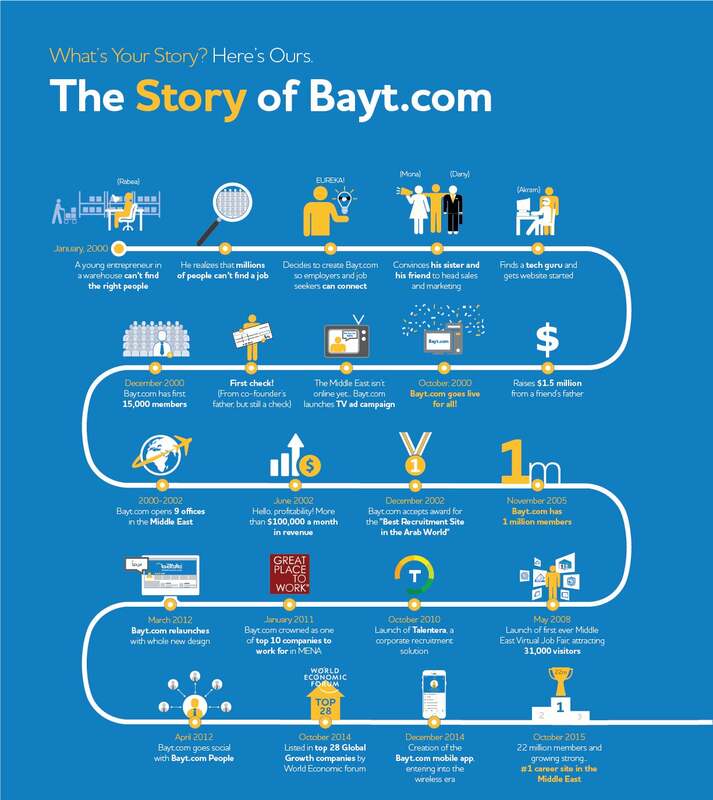 Before and during the #WhatsYourStory campaign, Bayt.com reached out to dozens of online influencers and shared their stories. TV personalities, social media gurus, YouTube celebrities, etc. were all contacted to help the brand spread its message throughout the campaign.